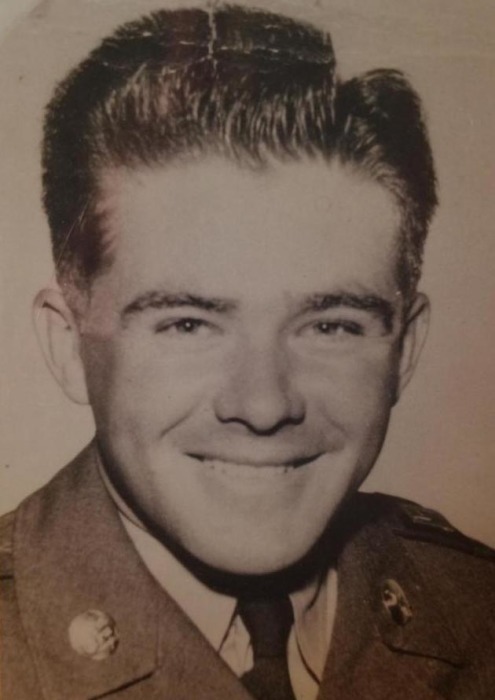 Joseph Edgar Newton, Sr., 86, of Radcliff, KY passed away Sunday, January 27, 2019 at his residence. Mr. Newton was retired from the United States Army having served in the Korean Conflict and Vietnam War. His memberships include: St. Christopher Catholic Church, Radcliff, KY, VFW, and KY Amvets. He was also a well known car dealer in the area. He was preceded in death by a son, Richard Newton; his parents, Sam & Bridget Newton; two grandchildren, Sara Beth, and Matthew. His wife of 60 years, Joyce E. Newton of Radcliff, KY; five children, Joseph Newton, Jr. of Vine Grove, KY, John Newton & his wife, Anita of Vine Grove, KY, Michelle Witte & her hsuband, Steve of Radcliff, KY, Becky Newton of Bardstown, KY, Judy Hite of Bardstown, KY one sister, Agnes Maria Barrott of Louisville, KY; ten grandchildren; and eight great grandchildren. Visitation will be from 5:00 PM until 7:00 PM Tuesday at Chism Family Funeral Home, Vine Grove, KY.
Services for Mr. Newton will be held at 7:00 PM, Tuesday, January 29, 2019 at the chapel of Chism Family Funeral Home, Vine Grove, KY.
A graveside service with military honors will be held at 11:00 AM, Friday, February 1, 2019 at the KY Veterans Cemetery Central, Radcliff, KY.